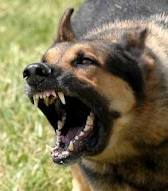 Fowlerville Michigan dog attack lawyer at the law firm of Buckfire & Buckfire, P.C. recently filed a lawsuit against the owner of mixed breed. The lawsuit was filed in the Livingston County Circuit Court and seeks damages for the pain and suffering, psychological trauma, medical expenses and cost of future medical expenses for the victim. The lawsuit arises out of an incident that took place on February 16, 2014. Our client was visiting a friend’s home when she was attacked by their dog. She was in the kitchen and bent over to look at a meal cooking in the oven when the attack occurred. The attack was unprovoked and the force of the bite was significant. As a result, our client suffered severe lacerations to her face including the need for stiches within her gum and cheek area where the skin had been torn away from her face. The incident was reported to the Livingston County Sheriff Department. Our Michigan dog attack lawyers immediately filed the claim within two weeks of the attack. Our law firm understands the stress people may be experiencing when they are going through a lawsuit and that is why we strive to file and settle cases for the maximum settlement within one year of the date of the incident. There is no delay in your compensation when you hire Buckfire & Buckfire, P.C. to represent you. For more information about filing a dog bite claim in Fowlerville or throughout the State of Michigan, call our award winning law firm today at (800) 606-1717. We offer a Free, No Obligation Case Review and will represent you under our No Win, No Fee Promise. This means there are no legal fees or costs until we win or settle your claim. Call now!